Are you interested in breaking into the technology industry? Do you want to learn more about the Salesforce ecosystem and economy? Get a glimpse of Salesforce and how it can help you start your career in tech! 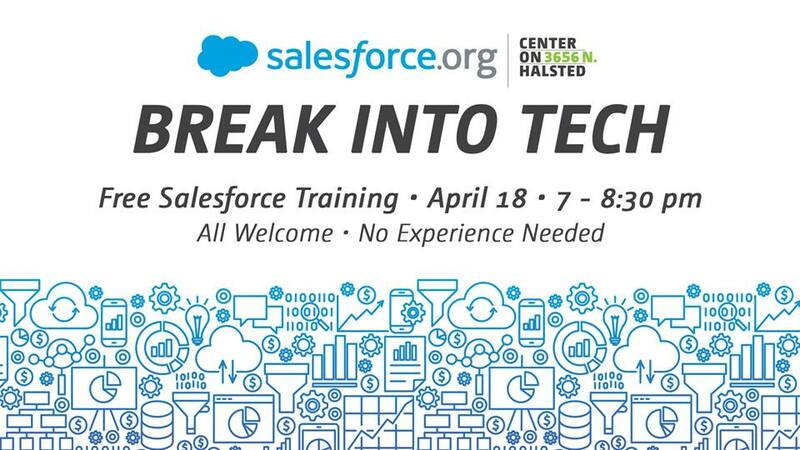 Outforce, an LGBTQ+ and Allies Business Resource Group at Salesforce, is leading a 90 minute session at Center on Halsted focusing on how to discover your ideal career in the tech industry through the Salesforce Ecosystem! In addition, there will also be a hands-on opportunity to build your own app on the Salesforce platform. Join us Thursday, April 18th from 7-8:30pm in the Cyber Center at Center on Halsted to engage, learn and grow!